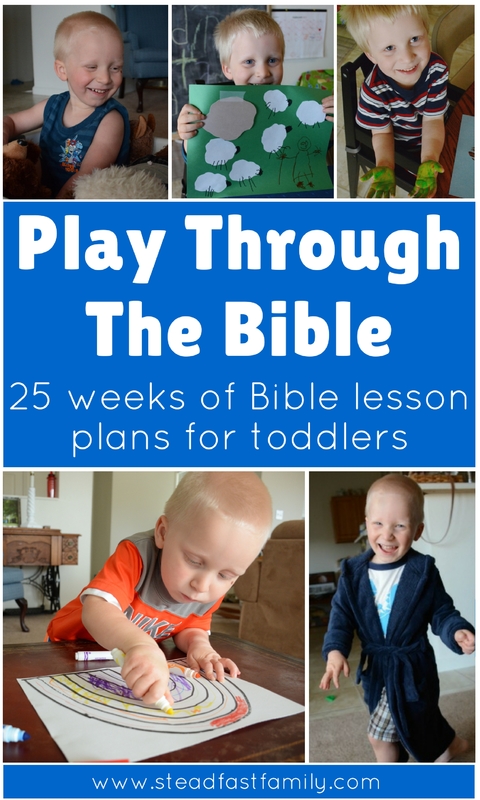 To celebrate the completion of our Play Through The Bible series I have brought together over 75 different resources from across the web that can help you as you strive to raise your little one to follow God. From Bible memory to learning how to sit still in church, this list has you covered! If you enjoy this round-up, please be sure to pass it along to other toddler parents in need of ideas, tips, and encouragement! 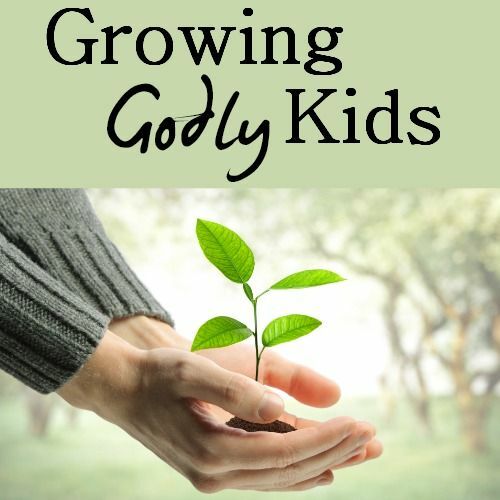 Toddler Doctrine – Planting Seeds of the Gospel – Amanda from Bless Your Heart and Home shares the truths they are trying to impress upon their 2 year old son. Includes a large list of resources. 7 Ways to Teach Your Toddler About Jesus – Anne shares 7 ways she’s found to teach her little ones about Jesus. Simple Ways to Bring Jesus into Your Child’s Daily Routine – Becca of Bare Feet on the Dashboard shares some great tips for making Jesus a part of everyday life. Truth for Tots – A series from Jenni of Live Called that explores the many ways we can teach toddlers and preschoolers about God. The ABC’s of Bible Study for Children – A series hosted by Dusty of To the Moon and Back bringing together 13 bloggers to share Bible Studies for each letter of the alphabet. 3 Ways to Hold Devotions With Your Toddler – Kayse Pratt gives three practical tips for how to find time to make devotions with your toddler a part of your daily routine, plus shares their current top book pick to use during that time. Bible Time Suggestions for Toddlers and Preschoolers – MaryEllen from Imperfect Homemaker shares the three things she does during Bible time with her four children ages four and under. 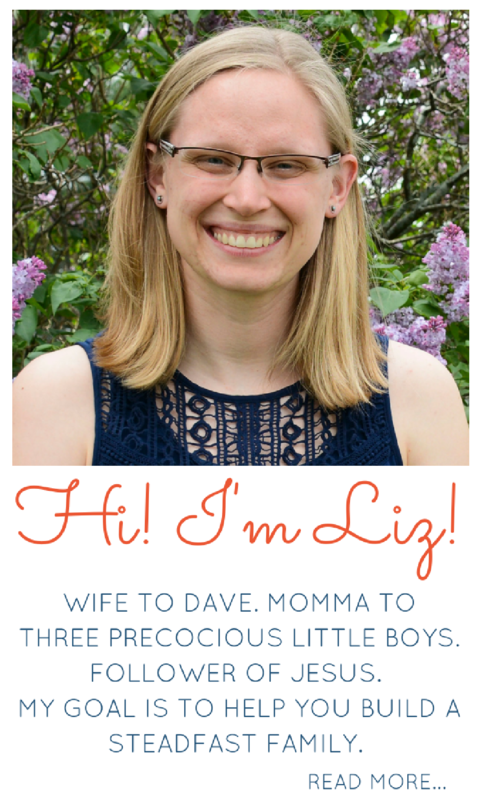 How We Do Family Devotions with a Toddler – Leigh Ann from Intentional by Grace shares how her family does devotions all together in a way that fully includes their two year old son. 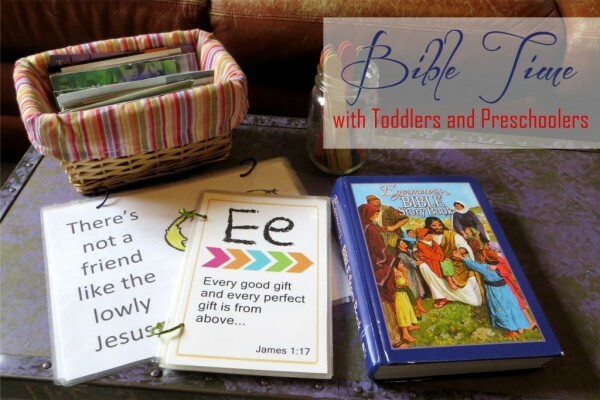 Four Ideas for Teaching Scripture to Your Baby or Toddler – Jenn from The Purposeful Mom shares four ways she’s found to teach scripture to the littlest ones who might not be ready for a structured devotions time. How to Implement Bible Verses for Toddlers and Preschoolers to Memorize – Dollie from Teachers of Good Things shares what she’s found to be the most effective way to teach little ones to memorize scripture. Bible Memory Beginnings for Toddlers and Preschoolers – Shirley from Satisfaction Through Christ shares a little bit of her story of beginning Bible memory with her son and gives some great tips for how she went about it. Includes free printables! 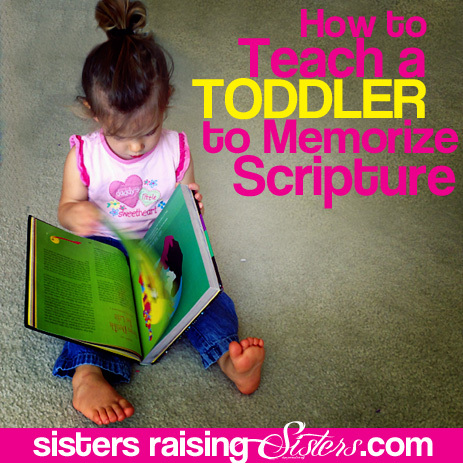 How to Teach a Toddler to Memorize Scripture – Penny Lane from Sisters Raising Sisters shows that toddlers really can memorize scripture and gives four fun ways to help them learn to do it. 5 Bible Verses Toddlers Can (and Should) Memorize – Leigh Ann from Intentional by Grace shares her top five Bible verses they have their children memorize. 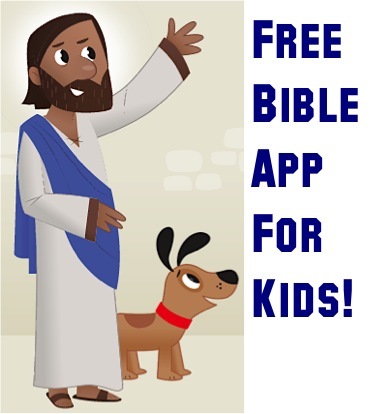 ABC Jesus Loves Me – A Bible based preschool curriculum that has lesson plans beginning at age two and is free for family use. 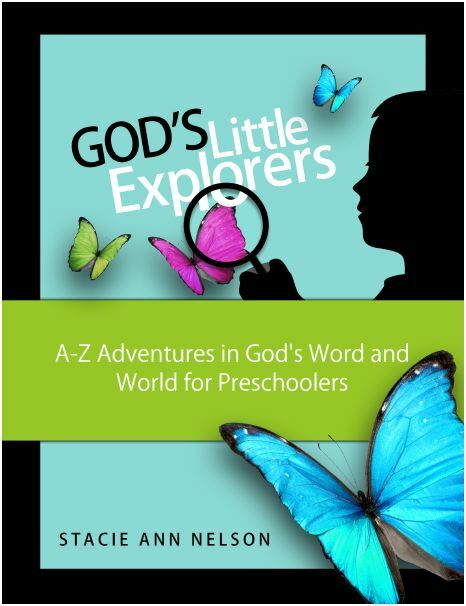 God’s Little Explorers – This hands on and active preschool curriculum from Motherhood on a Dime has both free and paid versions. Fruit of the Spirit Curriculum for Toddlers – Created for ages 2 & 3, Leigh Ann’s preschool curriculum is centered around the Fruits of the Spirit found in Galatians 5:22-23. Montessori Bible Lessons Archives – While not a complete preschool curriculum, The Christian Montessori Network has a large collection of Bible based Montessori style preschool lessons. 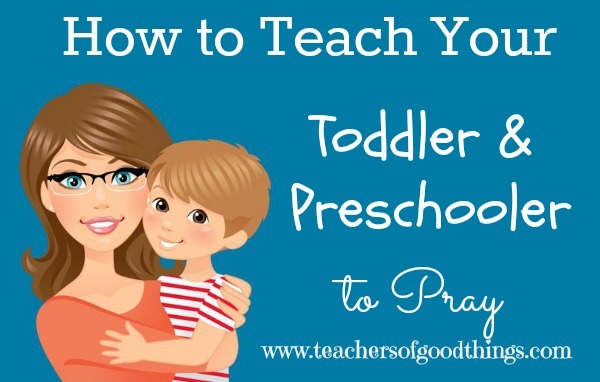 How to Teach Toddlers and Preschoolers to Pray – Dollie from Teachers of Good Things shares three simple tips to teach your toddler or preschooler how to pray. Meaningful Prayers for Kids – Kate from House Mix shares some simple but beautiful prayers she’s found that she says with her two year old. What To Do When My Child Does Not Want to Pray (Continued) – Ten different types of prayers you can do with your child to encourage them to pray, from Jessica of Our Family For His Glory. 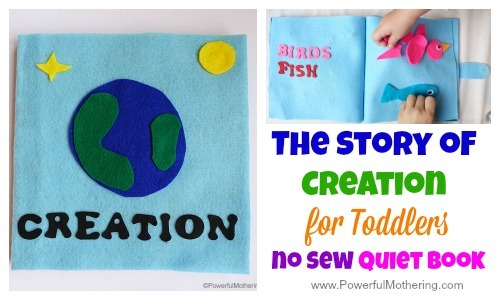 The Story of Creation in a Quiet Book (no sew) – Nicolette from Powerful Mothering explains how to make a Creation themed quiet book. Adorable Quiet Books! – If you’re not the DIY type, Alesha from Full Time Mama shares about the quiet books in her mom’s Etsy Shop! Baby Jesus Book – If you are looking for something super simple, check out this printable touch and feel book from Bible Songs and More. 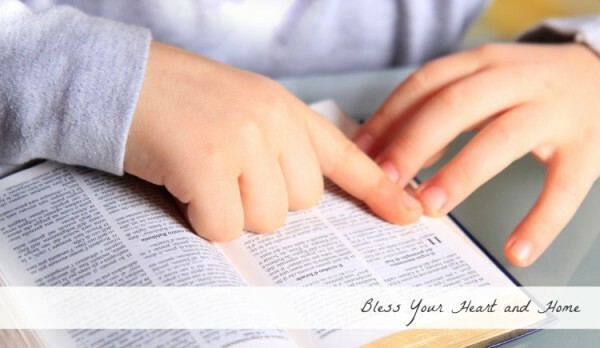 Best Bible Apps for Kids – Kim from Not Consumed shares eight of her favorite Bible apps. Our Fave Bible Apps for Kids – Lauren from Tutus and Tea Parties shares her favorite free Bible apps for toddlers. 9 Best Bible Apps for Kids – After trying out a bunch of different kids Bible apps, Rachel from rachelwojo.com shares her top 9. Steve Green’s Hide ‘Em in Your Heart – One of our absolute favorites! A classic that I used to listen to when I was a kid! 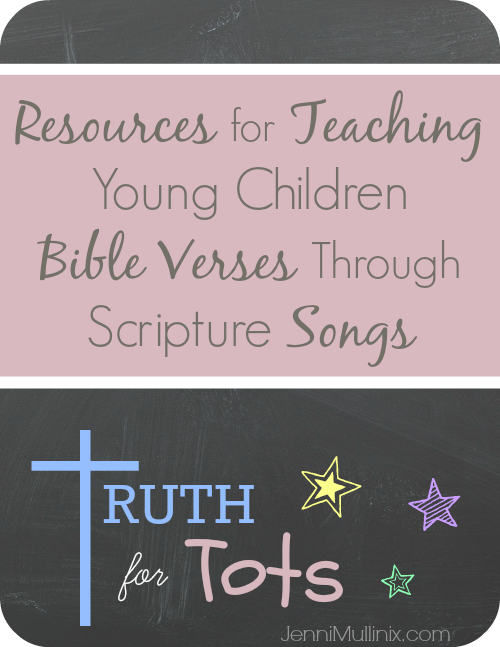 Teaching Young Children Bible Verses through Scripture Songs – Jenni from Live Called shares four great scripture song resources as part of her Truth for Tots series. Preschool Bible Songs – A long list of classic preschool Bible songs from ABC Jesus Loves Me. 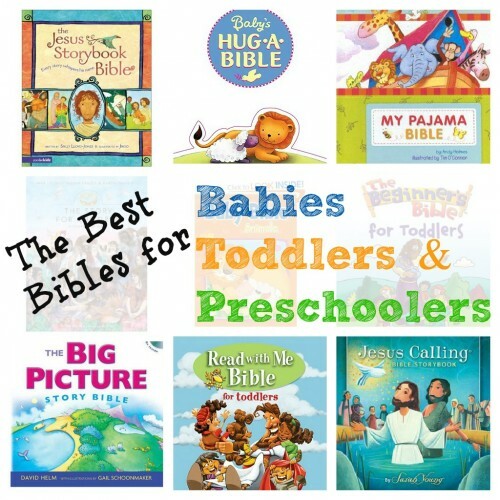 The Best Bibles for Babies, Toddlers, & Preschoolers – Jenae from I Can Teach My Child gives the run down on the best story Bibles for three different age ranges. Best Biblical Themed Books for Kids – Heather from the Christian Montessori Network shares her top children’s Bibles. 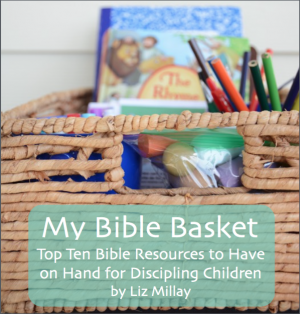 Toddler Bibles Reviewed – Some criteria for evaluating toddler Bibles and thorough reviews for 7 selections from Raising Godly Children. 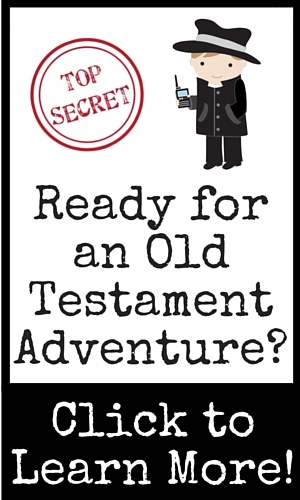 A New Family Favorite – A review of Treasury of Bible Stories from Tricia Goyer. Christian Picture Books – A round-up of eleven Christian picture books to read with your little one from Le Chaim (on the right). How to Keep Your Children Quiet in Church – Leigh Ann from Intentional by Grace shares the why and the how she keeps her little boys in the church service. 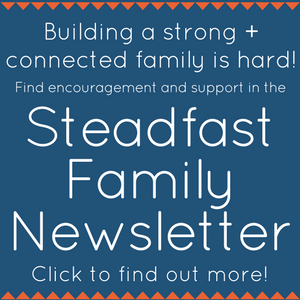 No Fuss Parenting – Teach Kids to Sit Still – Tricia from thedomesticfringe.com shares the method she used to teach her kids to sit still – a valuable skill for going to church! Seven Ways to Help Little Ones Behave in Church – Brittany from Equipping Godly Women gives seven things she does to teach her kids to behave in church. My Church Bag Ideas – Ideas for quiet activities to have in a church bag for a 2 and 4 year old from Six Sister’s Stuff. Quiet Bags – Hillary from Pulling Curls shares 5 tips for packing a special church bag for your kids. 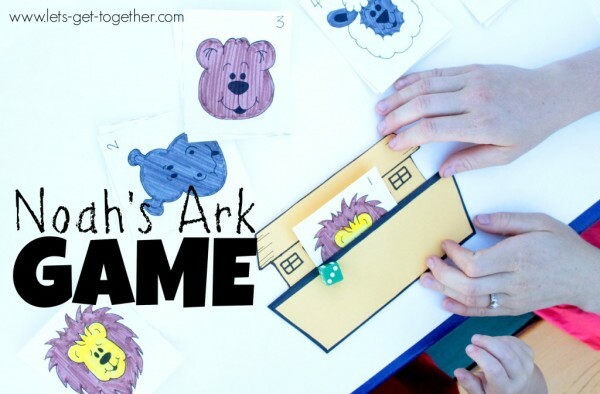 Noah’s Ark Game – A printable Noah’s Ark dice game from Let’s Get Together. God Made the Farm Animals – A File Folder Game from Bible Fun For Kids. Play Games – Tons of great Bible games for home or Sunday School from Jesus Without Language. The Obedience Game – Jodi from Meaningful Mama takes an important lesson in character and turns it into a fun game kids will be begging to play! 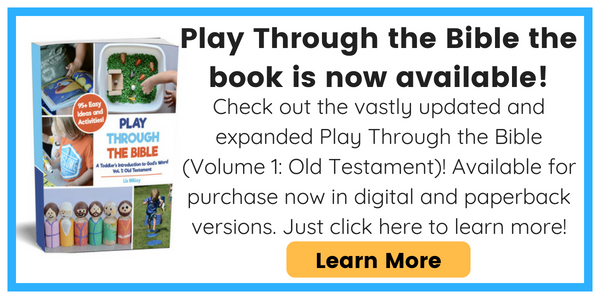 Games for Ages Birth through 2 – There are tons of great resources for games in the archives of Children’s Ministry Magazine. 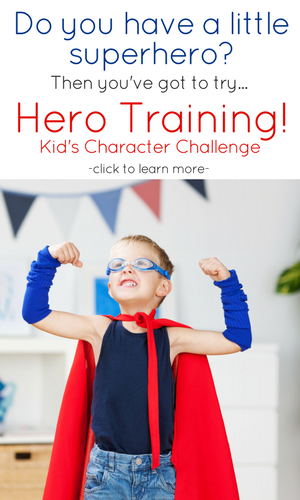 Character Development Archives – Jodi from Meaningful Mama has TONS of resources for character development for kids of all ages. 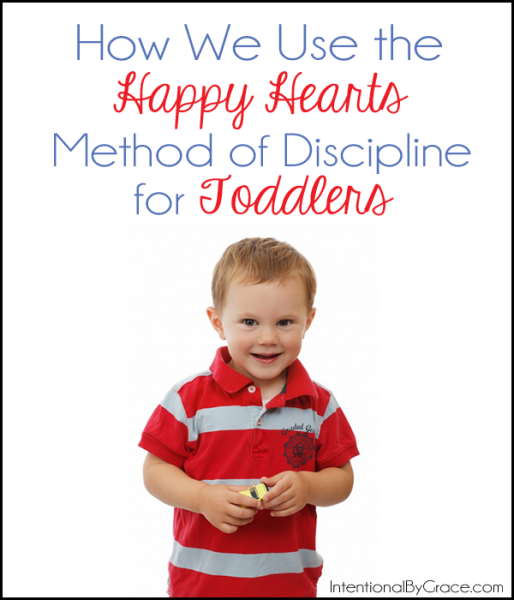 Toddler Tantrums are a Gift – In this insightful post, Leigh Ann from Intentional by Grace explains how she came to learn that tantrums can really be a blessing in disguise. Intentionally Parenting Your Toddler – Lisa shares a three part series about parenting toddlers on her blog, The Pennington Post. What God Really Wants for Moms with Young Children – Some really insightful advice about where to keep your focus during the trying years of raising littles, from The Better Mom. Teaching Toddlers the Story of Jesus’ Birth – Jennifer, mom of triplets, shares how she taught her toddlers the Christmas Story. Celebrate Advent with your family using the Jesus Storybook Bible – Adriel Booker shares how her family used the Jesus Storybook Bible to observe the advent season. 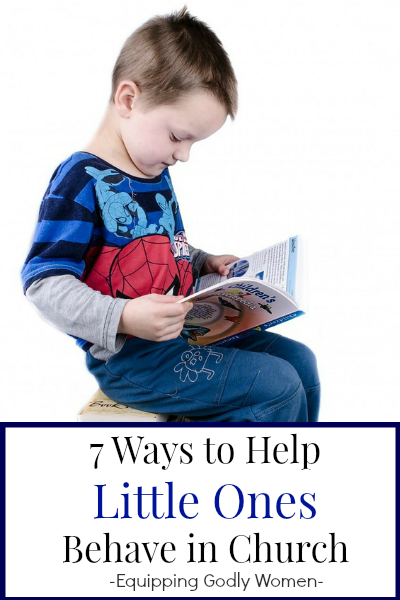 Includes a free printable reading guide! 7 Nativity Learn and Play Activities – Another great resource from The Christian Montessori Network. Sensory Nativity Story Box – A really fun idea for sharing the Nativity Story with little ones from The Fairy and the Frog. Song of the Stars by Sally Lloyd-Jones – A review of the Christmas book Song of the Stars and activities to go along from The Homeschool Village. Resurrection Eggs for Toddlers – Super cute Resurrection Eggs just for toddlers from Meredith of Wait ‘Til Your Father Gets Home. Easter Salvation Storybook Craft – A fun craft for toddlers and preschoolers that goes through the Easter story from Rebecca of Family Abounds. Flannel-Board Fun! – Heather from Cultivated Lives shares a fun Easter flannel board she made for her boys. Free Easter Preschool Printable – A 7 page mini pack from Brooke of The Intentional Momma. A is for Adam and Eve – Brooke from To the Moon and Back has many great printable packets, including this one for Adam and Eve. Top 10 Free Printable Bible Verses Coloring Pages for Your Toddler – from the Mom Junction. Toddler Bible Time – A free printable scripture booklet from Emily of Live a Charmed Life, perfect for toddler devotions. 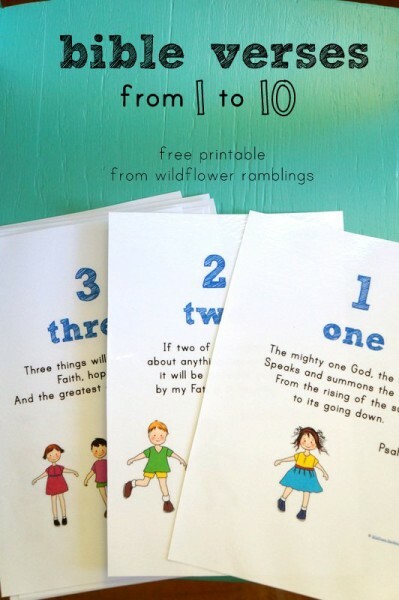 Bible Verses from 1 to 10 – Scripture memory cards based off the songs from the Songs for Saplings 123 album from Amy of Wildflower Ramblings. Amy also has more free printables which she links to in this post. ABC Printable Scripture Cards – Super cute cards with scripture for every letter of the alphabet from Jenae of I Can Teach My Child. Bible Kids Fun Zone – Tons of free crafts and printables for preschoolers. Crafting the Word of God – Crafts for pretty much every Bible story you could ever want! We have used quite a few of them in our Play Through The Bible Series. Bible Alphabet Crafts – A Bible craft to go along with every letter in the alphabet from Catholic Icing. Fruit of the Spirit Toddler/Preschool Lessons – Marla from Better Than I Could Have Imagined shares some fun Fruit of the Spirit activities she did with her little girls. One Year Old Preschool: Creation – Leah from Simple. Home. Blessings. shares the creation activities she did with her one year old daughter. Lamb of God Sheep Craft – Tara from Feels Like Home shares an adorable sheep craft that can lead to all manner of Biblical discussions with your young child. Parable of the Sower Small World Play – A super fun small world from Wugs and Dooey that multiple ages are sure to enjoy! Biblical Lunches Archives – Amy from Creative Kids Snacks has tons of amazing lunches and snacks with a biblical theme. Moses and the 10 Commandments Booklet and Activity – Tara from Feels Like Home has a free printable 10 Commandments Booklet for kids to create their own little book of the 10 Commandments. Creating Your Own DIY Godly Play Materials – Interested in the Montessori based curriculum Godly Play? Megan shares a bunch of great ideas for DIYing your own materials. Want to learn more about Godly Play? Check out the links at the top of the post for the rest of the Godly Play series. 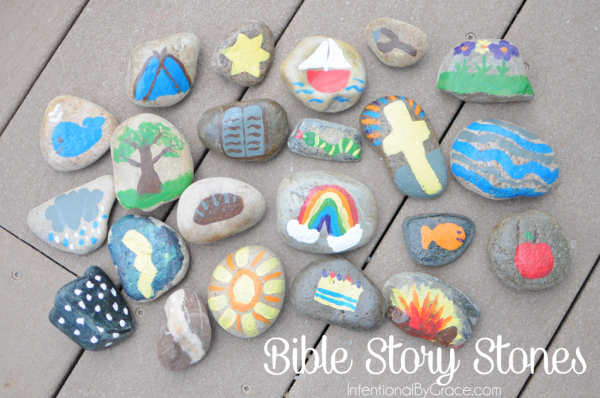 How to Make Bible Story Stones – Leigh Ann from Intentional by Grace shares how she made some fun Bible Story Stones with her boys. 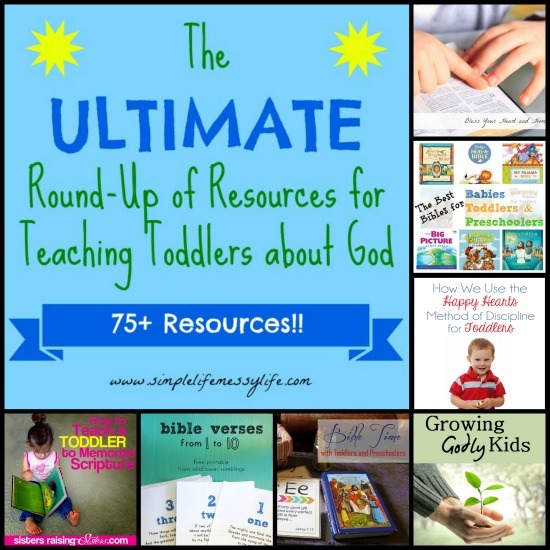 This is really only the tip of the iceberg when it comes to resources for teaching your toddler about God. New posts are being shared every day. Here’s a list of Pinterest boards to follow to keep the ideas flowing! I hope you enjoyed this giant list of resources and were able to find some great ideas and encouragement! Am I missing a resource you love? Please add it in the comments so I can check it out! And, again, if this list blessed you in any way please consider sharing it with others! Affiliate links may be included. Thank you for supporting Simple Life. Messy Life with your purchases. Wow what a great list! Thank you for taking the time to put this all together. I am scheduling this to share on my social media outlets. I’m glad I linked up next to you on the Teaching What is Good linky. I believe that music is the best way to teach toddlers about God. Also activities or crafts about this topic is quite amazing! I love your post a lot!